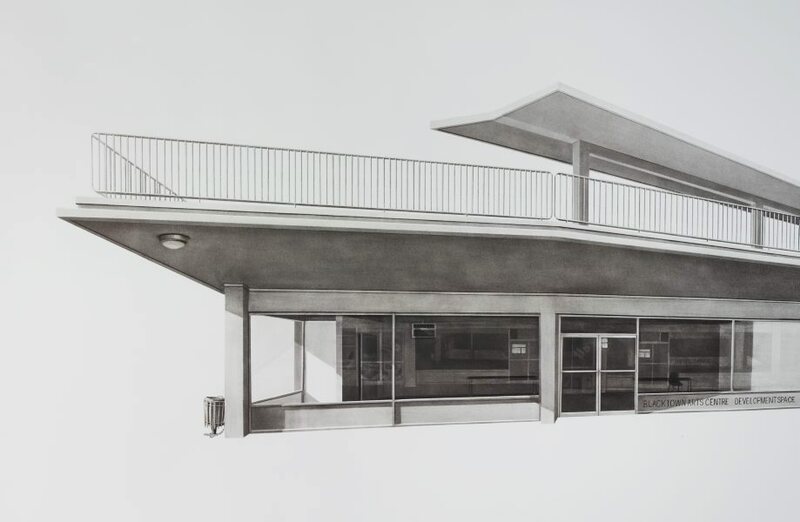 Drawing is the focus of Catherine O’Donnell’s practice; her refined charcoal drawings stem from her fascination with the formal qualities of pictures, including perspective and geometry, and the rendering of light through form. 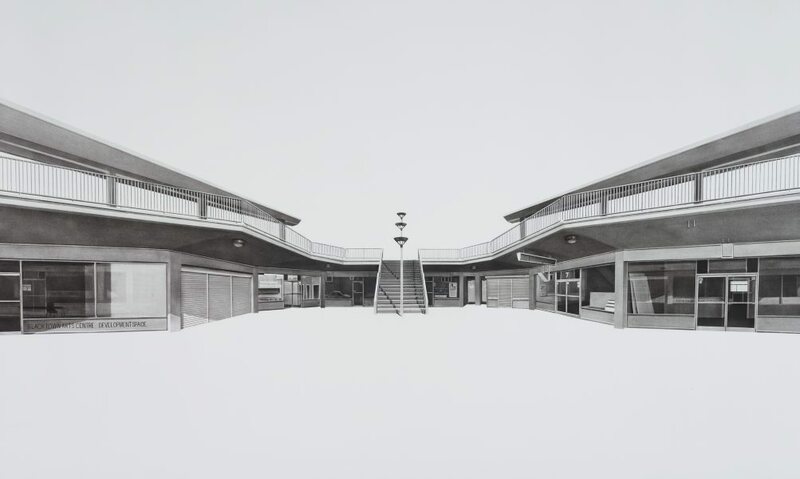 Born and raised in Sydney’s western suburbs, O’Donnell’s central subject is the banal architecture of the suburban environment, and the stories it tells of their history and community. This drawing was made during a one year studio residency undertaken by O’Donnell at the Blacktown Arts Centre in 2008. The studio was situated on Blacktown’s Main Street, stimulating the artist to engage with the local built environment in a suite of twelve large drawings. Depopulated, the drawings show the shopfronts and their unremarkable rear views at night, lit by artificial light. 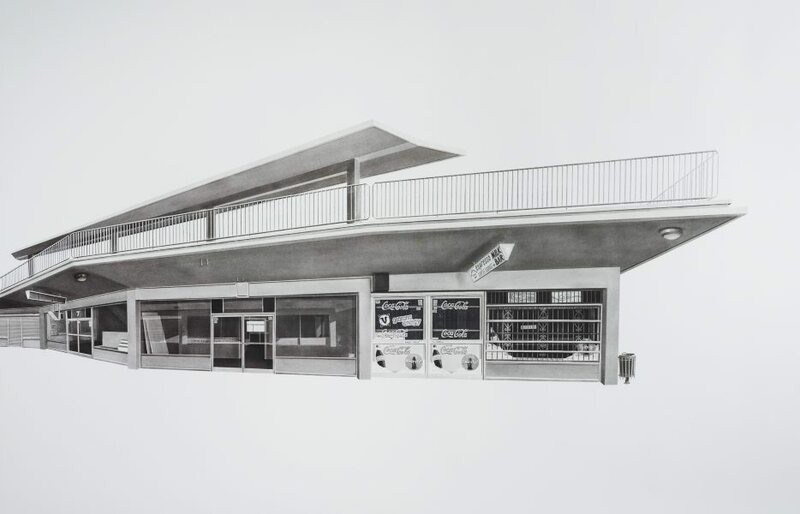 The structures of this nondescript strip of shops, typical of suburbs and small towns around Australia, takes on a heightened sense of significance and beauty through the artist’s austere imagery and manipulation of perspective. Signed and dated l.r. verso, pencil “C O’Donnell / 2009". Light and shadow, drawings by Catherine O'Donnell , Sydney, 2009.